The Highlands and Speyside provide the venues for this week’s batch of new whisky tasting notes from Dave Broom, with the regions splitting the six spirits between them. The word ‘spirit’ is used advisedly, as the first product tasted is the latest immature spirit release from new Highland distillery Ardnamurchan – and a feisty little number it is too. Worth a look if you can track down any bottles of this heavily over-subscribed expression. 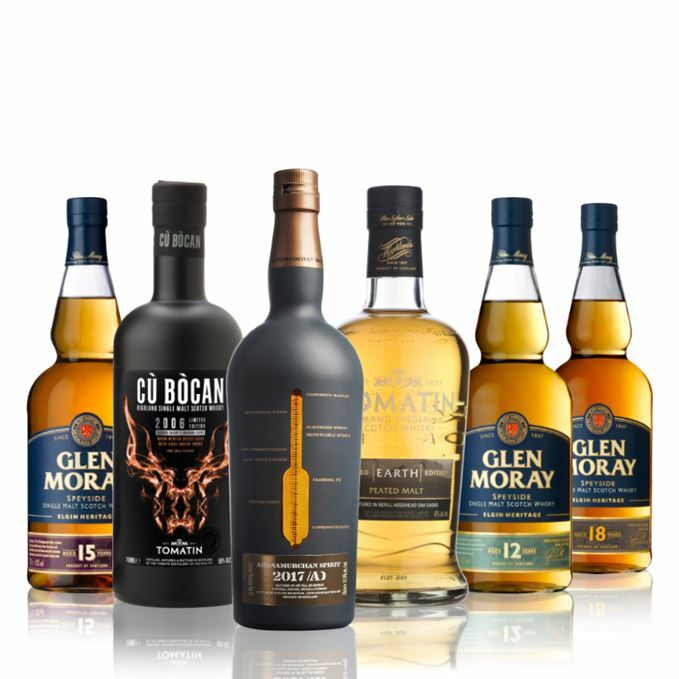 Honours are otherwise divided between Speyside-based Glen Moray’s new aged range – ‘easy-going’ 12-, 15- and 18-year-old single malts – and Highland distillery Tomatin. 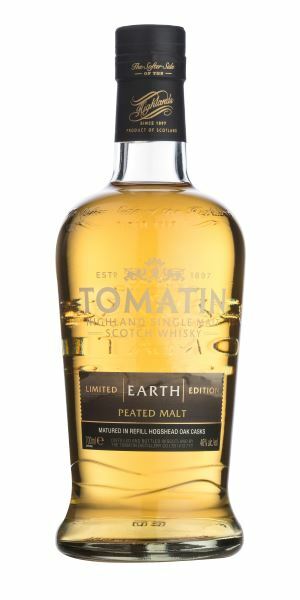 The latter contributes the latest of its Five Virtues range, inspired by the elements, but Broom ponders whether Tomatin Earth isn’t a bit of a misnomer. 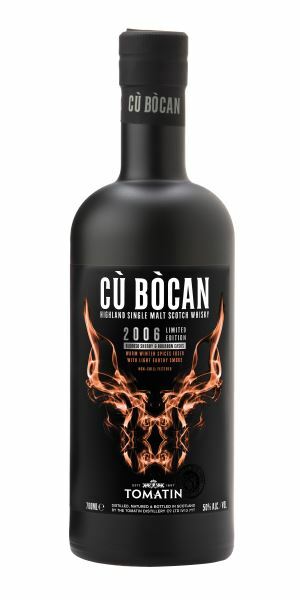 And there’s also the latest limited edition from Tomatin spin-off Cù Bòcan, a ‘smoky beast’ that you might want to try in a mixed or long drink. Remarkable colour. Big, smoky, phenolic (bicycle oil), with woodsmoke to the fore, then an aroma of freshly-felled timber (redwood, cypress) and a surprising whiff of artichoke. As it develops, it morphs into agave: dusty, horse sweat, lumberyard, creosote – a quality which is accentuated with water. More oak and, while sweet (pear), is obviously young. The roasted note once again hitches it to the pommel of mezcal, as does the hickory smoke. A lightly bittersweet syrup element and coal tar. Water shows it to be thick, rich and fruity (once the smoke calms itself down). Needing time to settle – it’s a little over-enthusiastic at the moment – but an excellent work in progress. A touch of bran and dried bracken kicks things off, closely followed by woodsmoke and liquorice. Dry, with a scented, citric lift at the back and, as it develops, a touch of acetone, violet and raspberry leaf. With water you pick up some cereal and light tar. 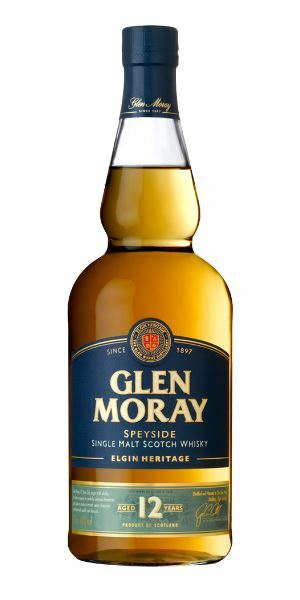 Immediate smouldering elements that put it in a line with Ardnamurchan (there’s even a slight green element), but this has greater maturity, and some soft vanilla adds a rounded, layered quality to the mid-palate. 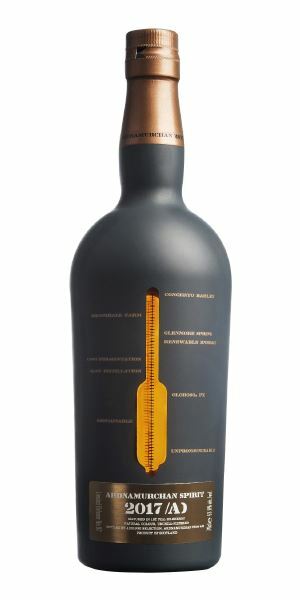 Dilution adds a firm, woody element, some walnut, roast almond and clove. Nutty with old pine needles, light tannin and smoke. A pretty bold, but balanced, smoky beast that I suspect would be best in a mixed or long drink. A lumberjack wearing nail varnish. Sweet. There’s lemon drizzle cake, some polished wood and a light, slightly spicy (cassia bark) note with some barley field and a hint of almond flour. With water things become more floral (lily) and balanced, with a pleasant, bluebell-like development. Good mix of the sweet and the cereal simultaneously leading into butter icing, apple candy, then blood orange. It’s sweet and lightly chewy with some peachy soft fruit, the spices drying but still perky. Water softens everything still further. Light- to medium-bodied and highly drinkable. It might be a little short, but you can’t fault it for its easy-going style. Saturday nights, Val Doonican in his rocking chair. More nutty than the 12-year-old, with a chocolate edge which pushes things in the direction of Nutella. It’s drier, therefore, but there’s enough of the distillery’s soft, sweet core. Reminiscent of steamed syrup pudding with some drier, almost felt-like qualities. This interplay between sweet and dry continues as it develops: tangerine and coconut matting, then wet grass. Water makes things more mealy, with some soft fruit and slightly plain woodiness. A sweet start, with some big patisserie notes, hot baguette and a return of the chocolate note along with Brazil nut. It is, however, soft and quite bouncy. As water lightens things I’d go careful in the area of dilution. Drying, lightly nutty, hint of raisin. With more weight than the 12-year-old and, again, very approachable. Pulling on new baffies [that’s slippers to the rest of us – Ed] and tucking into an iced doughnut. Greater maturity in evidence here. The sweetness is now red velvet cake (carrot cake, even), with some Sherried influence, hawthorn jelly and, again, that drier note, here in the guise of dry bracken. Those dry elements are, however, always in the background – a sprinkling of toast crumbs on top of fig jam. With water, there’s a slightly green acorn-like element. Once again it’s sweet, with hedgerow fruits and gingerbread. There’s fizzing spices galore. A medium-dry dram with some hefty, mature stock in the mix. Water adds a thicker feel with some richness and a hint of treacle. Rounded and more ‘serious’, but still easy-going. A baby bear learning how to growl. It’s very Tomatin (which is a good thing), with that that intense, estery quality that brings to mind lemongrass and kaffir lime. There’s very subtle smoke, then some blackcurrant pastille. Water makes things quite ethereal. As with the nose, there’s an immediate intensity. The texture is lacy, while the smoke is so light it’s like smoked water. There are, though, some sweet spots in the middle with some pink grapefruit, then a bracing acidity. Gentle, sweet and soft. Not particularly earthy – more an air-bound spirit. A Thai salad around a spent fire. Batch 119 20/10/2017 A stunning whisky line-up: 70yo Glenlivet, experimental Johnnie Walker, Compass Box and Wolfburn. Batch 117 06/10/2017 Taking it easy with Highland Park Magnus, Dewar’s 25, Balvenie Peat Week and The Art of Whisky.